What's the best way to eat crumpets? It was crumpets that started this whole book journey. A post I wrote about crumpets a few years back came under the radar of some folks at Random House. Who can resist a photo of a homemade crumpet dripping with butter and honey? Even book publishers are rendered helpless, such is the power of the crumpet. So it's kind of fitting that there's a crumpet recipe in my book, (an updated recipe), because obviously, they hold a special place in people's heart. Which brings me to the question, "What's the best way to eat crumpets?" This week, over at Meet Me At Mikes, Pip is generously having a giveaway of my book. To enter, leave a comment on her post about how you like to eat crumpets. Even if you don't want to enter, the gorgeous comments are worth reading as they all sound super delicious. With all this talk of crumpets, I thought I would share the recipe for crumpets from my book. You could make a batch, then tell Pip how you like to eat them. Cover the bowl with cling film or a tea towel and leave to stand for about an hour until there are lots of bubbles on the surface. In a jug, mix the extra warm water with the bicarb soda. Fold this liquid into the batter until evenly combined, it will take a bit of work. You may need to add more water to get a dropping consistency. Cover the bowl and leave the batter to rest for another 20 minutes until more bubbles rise to the surface. Heat a heavy based frying pan on a medium-low heat. Generously grease the inside of four metal crumpet rings with butter. Lightly grease the pan with butter. Put the greased crumpet rings on the pan. Ladle enough batter into the rings to come just below the rim. Cook on an even low temperature until small holes appear the top starts to look dry. This will take some time, at least 7 minutes, but keep the temperature nice and low, don't be tempted to increase the heat. Serve the crumpets straight away with plenty of whipped butter, I like honey or a smidge of vegemite myself. What do you think? 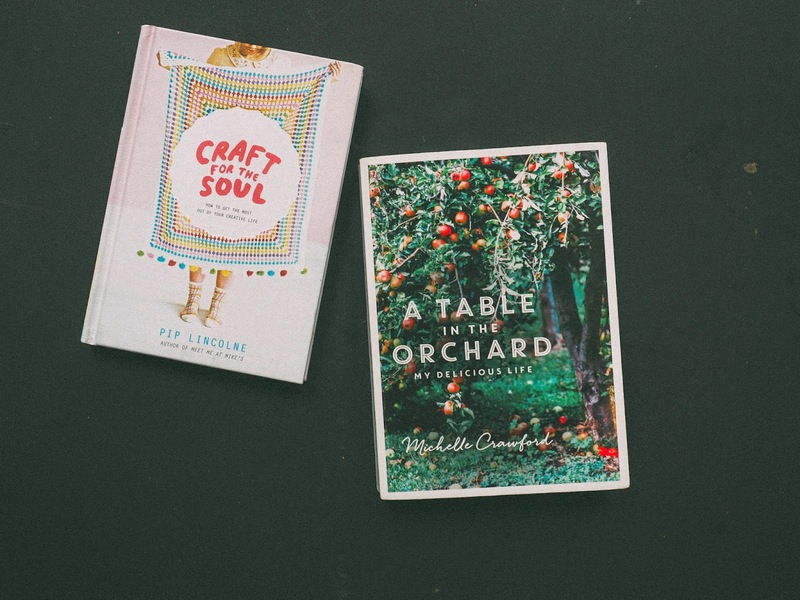 One more thing, if the heart of my book is crumpets, Pip's new book Craft for the Soul has jaffles at its core. Although it is filled with loads of good things, of course it's the jaffles that have first caught my eye! It's a guide to living a creative and fun life. I received a copy today and, well, really it's super beautiful. I can't wait to read it. 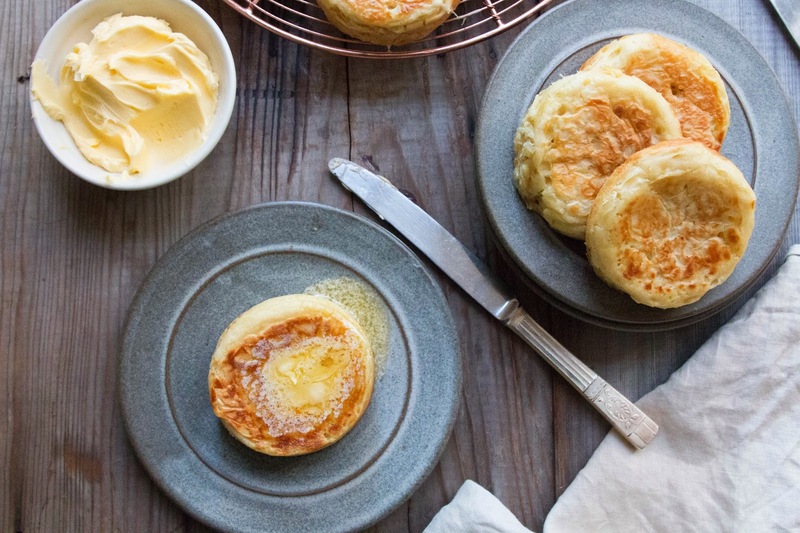 We're crazy for crumpets here! I eat them with butter & maple syrup or sometimes with cinnamon sugar. I have the strangest ritual when I eat them-I pick off the top layer & eat it-then the middle-then the bottom. My husband thought I was nuts when he first saw me do it! I can't wait to try this recipe so we can stop buying store bought crumpets. Bought the book the other day! Half way through it, trying not to devour it quickly, will get a review up when I am finished to spread the word! Michelle I cannot believe it has taken me this long to discover your blog. I absolutely love your work. Huge congratulations on your book.